Jefferson City  Today, Governor Parson signed the FY2019 budget bills passed by the General Assembly and highlighted priorities of improving infrastructure, increasing workforce development, curbing opioid abuse, fully funding K-12, and stabilizing higher education budgets. The Governor highlighted several areas of the budget, including fully funding the education foundation formula for the second time in history with a $99 million funding increase, prioritizing higher education, providing a needed step in lifting state employee pay, allocating $2.6 million to support faith-based initiatives to curb opioid abuse, and allotting $70 million for key infrastructure and workforce development projects. 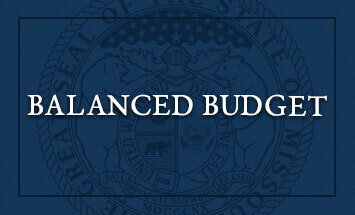 The total state budget is $28.6 billion. In addition, the Governor issued 21 line-item vetoes, totaling more than $12 million. To view the complete list, see here. $2 million for community college workforce development, offering food stamp recipients the opportunity to gain skills, train, and promote employability and self- sufficiency. All FY18 restrictions have been released. To view the complete list, see here. The Governor also on Friday signed into law HB 1350, HB 1388, HB 1713, HB 1268, SB 652, SB 659, SB 687, SB 871, and SB 954.